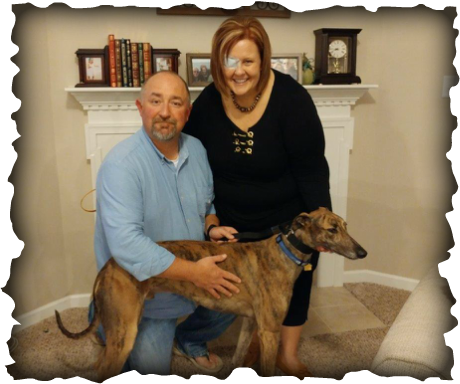 Heidi and Patrick of Springboro have had cats for years but decided it was time to add a dog to the family. The lucky new addition is RS Kansascountry, now called KC. Sonny is the family cat and while the two did remarkably well together, Sonny was not up for a photo with the new arrival just yet. What was interesting is that he didn't run and hide from KC either, so things look good for a future friendship - or at least tolerance.